Back about a year and a half ago, I told you about a tech stock that would allow you to "laugh at the next big sell-off." And, well, since then, the market has been no joke. In fact, it's been absolutely turbulent – including last month's big sell-off. The Standard & Poor's 500 Index is down by roughly 5% so far this year – while the tech stock I recommend back then is at breakeven. That means its shares have crushed the overall market by some 35% since I first recommended it. And now Wall Street is waking up to the incredible value in this diversified tech play. Indeed, The Wall Street Journal ran a story Sept. 2 touting one of the main points I made to you some 18 months ago – that this company is one of the nation's top M&A engines. 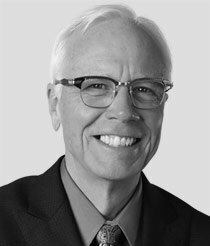 Still the "Leader of the Pack"
When I first recommended it March 14, 2014, I was one of the first tech analysts to note that Honeywell International Inc. (NYSE: HON) boasts a very impressive M&A team, led by Chief Executive David Cote. I listed its acquiring nature as a catalyst for the stock and a prime reason to invest. "When it comes to the tech sector's version of 'Let's Make a Deal,' Honeywell intends to be the 'Leader of the Pack' in this realm," I said at the time. The company had recently disclosed it had amassed a $10 billion war chest for filling out the franchise through 2018. That was more than twice the amount it had spent on M&A in the five years leading up to that point. And with just that that dynamic in place, the stock skyrocketed 290% from March 2009 to March 2014 and outpaced the S&P 500 by nearly 86% at the time. 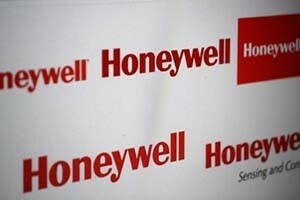 On top of that, Honeywell vowed to spend up to $5 billion buying back its own shares, which would drive up its earnings per share (EPS) number and stock value, ultimately attracting more investors. So shareholders are in favor of Honeywell's shopping sprees. They want to see the company continue making these big acquisitions and diversifying its offerings. But they want to see it done at little to no risk. That was my point 18 months ago – and out almost exactly the same argument The Wall Street Journal made in its recent story. In other words, Honeywell meets something of an inverse of Rule No. 2 of Your Tech Wealth Blueprint. That rule says to "separate the signal from the noise." To create real wealth, you have to ignore not only the hype you get from companies, but also the noise you hear on Wall Street. However, in this case, there was no "noise" from the Street – analysts had yet to put the Honeywell puzzle pieces together. But that's changing, starting with the Journal's recent flattering profile. Basically, the Journal story shows why Honeywell remains happily – and profitably – out of step with the rest of the tech industry.